Hello all and welcome to the latest edition of Confessions Of A DC Geek. Once again, my apologies for the delay in getting this one out to you. Life, my new granddaughter (who is a stunner by the way) etc. have taken up my time and I have loved it. Unfortunately, it has meant that this is late. However, I can assure you that this is certainly worth the wait as we get the Confessions from someone I am sure that you will all know and follow on social media. In this edition we have Luke Bugg but I’m sure you’ll all know him as top man, The Geek Of Steel. Before we go on, if you would like to take part in a future edition (and I hope you do otherwise you may well get me interviewing myself next), then please see the contact details at the end. JH@DCW: First of all, would you mind telling me a bit about yourself – name, age (if willing), where you’re from and what you do for a living, anything else you wish to mention? TGOS: I’m Luke Bugg and I’m 36, but like Clark Kent, I have an alias! I am also known as “The Geek Of Steel”! I work in an Opticians. I sell and repair glasses and also help teach people how to wear contact lenses. When I am not doing that I am blogging, reviewing, going to Cons or reading comics. Sometimes I find time to sleep! I have always been a fan of D.C Comics, Superman mainly, hence my moniker. He is a character that I have always been drawn to as he always been there in some form or another. 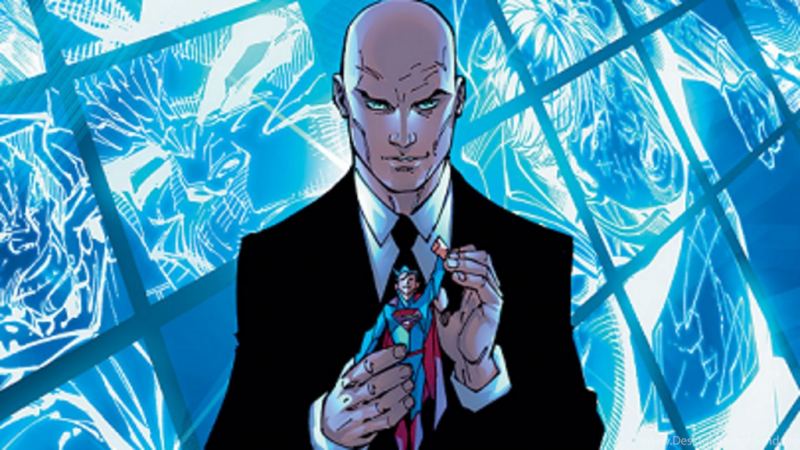 Lex Luthor. He is always up to something and is deliciously evil! 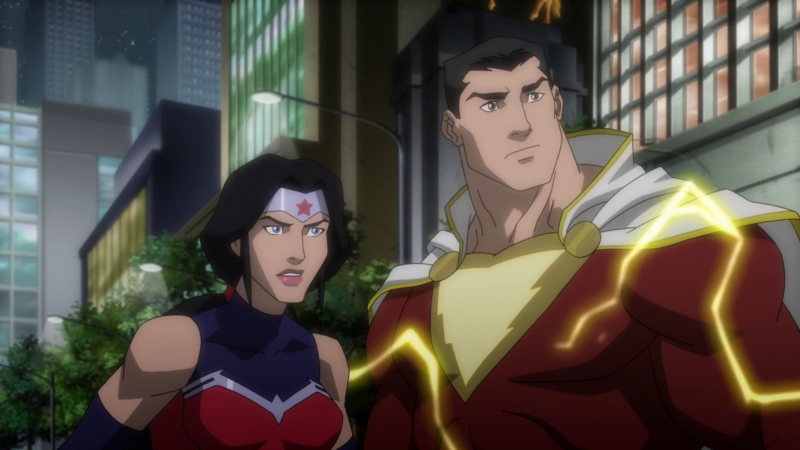 Wonder Woman is a big favourite of mine, as is Shazam, I am really looking forward to the new film. I also have a soft spot for Bizarro. I don’t really see him as a villain, more as a confused hero. 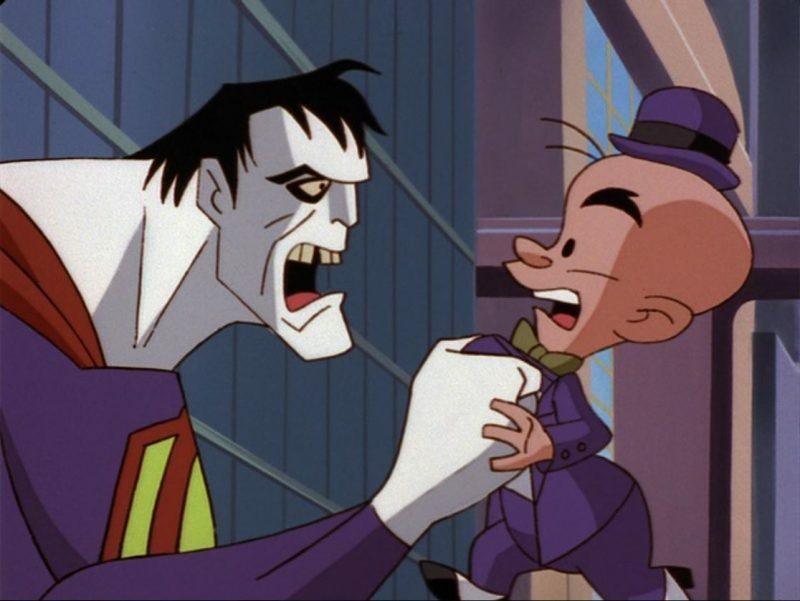 As for another favourite villain, Mister Mxyzptlk is a lot of fun. 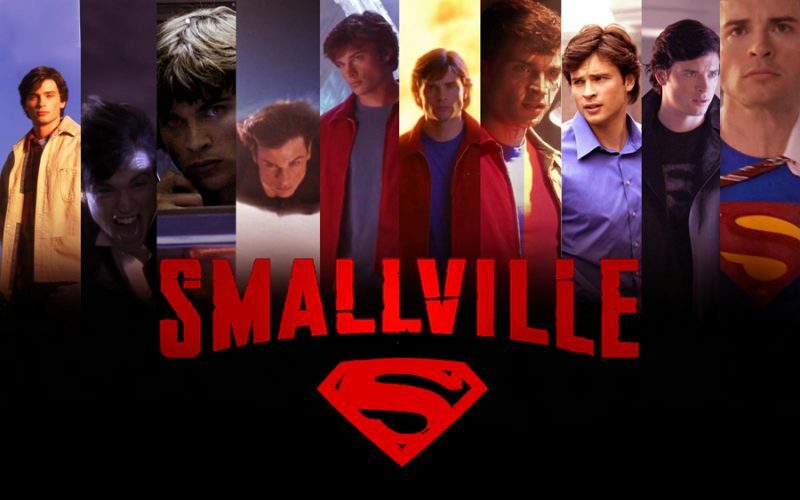 As soon as I saw the pilot of episode of Smallville I was hooked and it is a show I still watch now. I enjoy all the D.C Comics shows but I strongly feel that if we didn’t have Smallville, we wouldn’t have shows like Arrow, Supergirl, Gotham etc. Tough one! 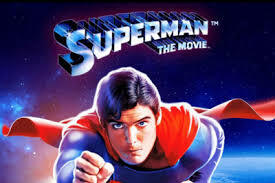 For me it sometimes changes but Superman: The Movie is a film that I am more than happy to watch whenever I get the chance. Are there any DC Universe characters, any that we haven’t seen a live action/animated version or of so far, you would like to see become part of the movie, TV or even animated universe? If so, which character and who would you like to see play the part/s? I would love to see a Superman movie which features Bizarro. He is a such an interesting character with so many possibilities for some fun storylines. The actor who I feel could play the role well is Javier Bardem. The DC Universe has featured many, many actors on TV and in the movies, as well as animated movies/series’, so I ask you – who is your favourite actor, anyone who has made some any kind of appearance within a DC creation? These questions are brutal! For me, I have a lot of respect for anyone who can play my hero to their best ability. Not just on screen, but also off it. 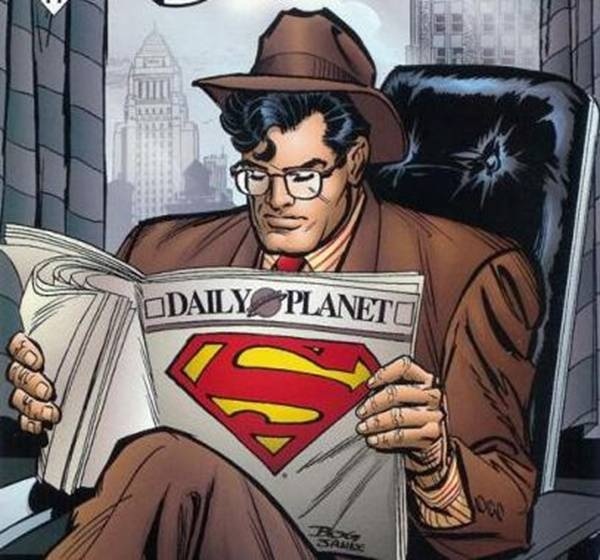 Playing Clark Kent/Superman is no easy job so whoever can bring their A game to the role is great in my book. Christopher Reeve was the Superman I fell in love with and Tom Welling did a phenomenal job at playing a young Clark Kent. I am also a huge fan of Henry Cavill and seeing him play both characters so well is why I need a Man Of Steel 2! 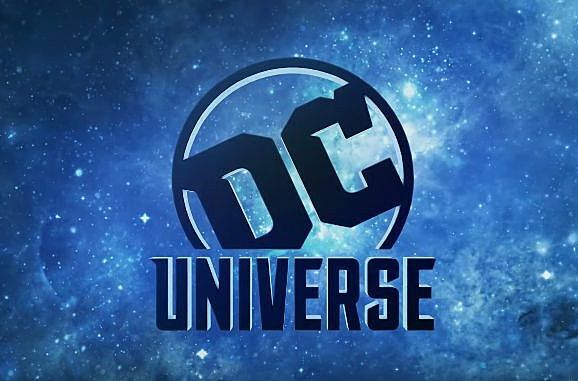 Speaking of the DC Universe, the new DC streaming service has been revealed and we are getting some great looking content. If, by chance, this arrives in the UK, will you subscribe, and from all that new content that will be on there, what will you look forward to the most? I really hope it comes to the U.K! The shows look great and I would love a service where I dont have to get up to change my Superman DVDs over! The online store will be selling a lot of exclusive items as well so maybe it’s a blessing in disguise for my wallet that we haven’t got it just yet! I sure do! After watching Smallville for so many years I wanted to know more of the Superman history so I started reading comics and couldn’t stop! I love 1960’s comics as they had the most imaginative and crazy stories. 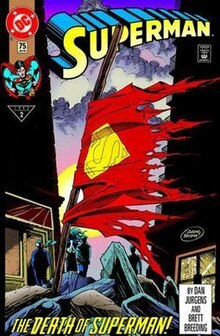 Some of my favourite reads though are the Death Of Superman stories. I also feel that Kingdom Come and All Star Superman should be read by everyone! CQ1 – Superman: a lot of people are now saying that Man Of Steel is the best Superman movie we’ve seen. 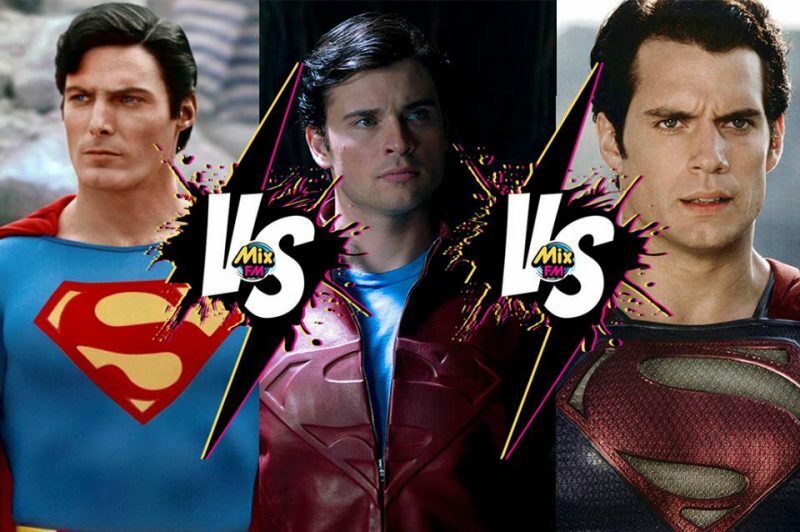 For me, I disagree and can’t see past the 1978 movie (and no disrespect to other Supes movies). Because of this, people also talk of Cavill as the best Superman. Did Lex Luthor write these questions?!? I will try to answer this one as carefully as possible! I adore Man Of Steel, it is a delight to watch. The scenery of Krypton and the battles scenes on earth were mind blowing, combine that with the Zimmer soundtrack and you’ve got a film which blows you away. I have seen MOS countless times and it never gets boring. Now, I also love the 1978 version. Christopher Reeve took Superman AND Clark Kent from right out of the comic and brought them to life. I honestly feel that if we didn’t have the 1978 version we would not have any Superhero films or shows. No Marvel, no D.C, none! So for that reason Superman will be my answer. PHEW! CQ2 – The DCEU still comes in for a hammering on social media. With the news that The Batman , Flash etc. WILL be made and a new Supergirl movie has been announced, where do you stand on this? Are you convinced we will see these movies, as well as the rest on the “slate” or are you yet to be convinced? As long as heroes’, and villains’, stories are being told to us, I am happy. As a second part to CQ2 above, we are to see a new Joker origin movie. Is this something you want to see, another version of the Joker or would you rather they concentrate on different characters as we’ve see a good number of different versions of this character? I miss Joker’s pranks. I want The Joker being a joker. I want wind-up teeth and puns! 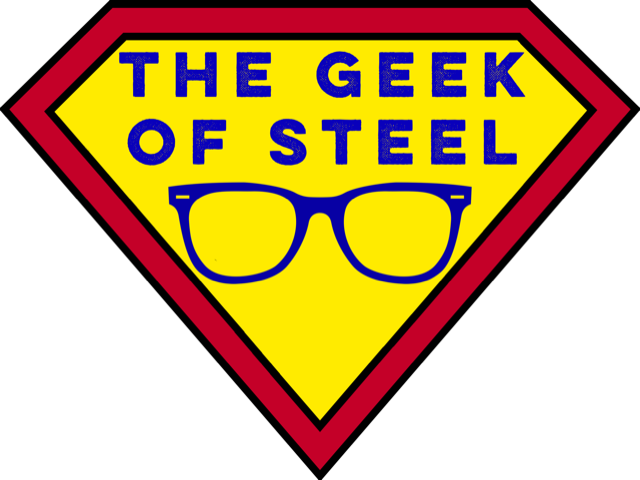 I feel “The Geek Of Steel” is my Superhero name! I don’t exactly stop out of control trains but if a kitty gets stuck up a tree I will do my best to get them down safely! Now, if I could have a Superpower it would definitely be the power of flight. I know it’s an easy answer but I would be able to travel the world so easily and in style! Conventions – do you attend them and, if so, which has been your favourite? I love conventions! 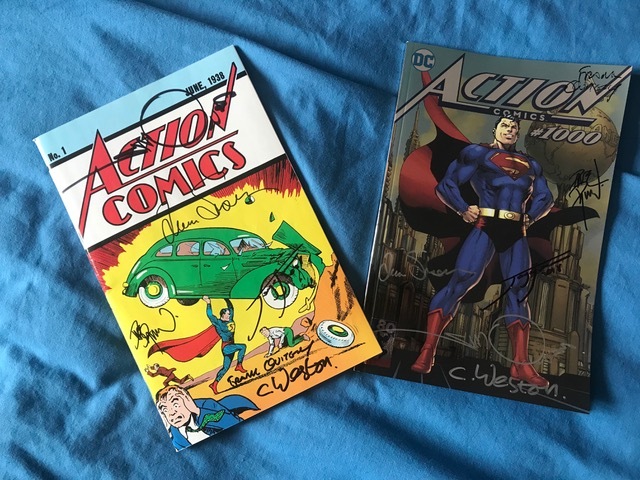 I love getting the chance to meet celebrities, comic writers and artists. Artist Alley is where you can normally find me. My hometown of Portsmouth had it’s first convention last year and I was honoured to report from that. 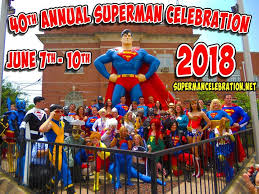 Now, earlier this year I travelled to Metropolis in Illinois to report from the Superman Celebration. A three day event which honours the worlds greatest hero (I’m biased!) . While I was there I got to meet Brandon Routh, followers, bloggers and hundreds of Superman fans from all over the world. It was a magical place and my second home. I even became an honorary citizen! Of course, I live on the Internet! I have many D.C Comics items but the majority of my collection is Superman. When my Niece Of Steel was four she spent hours colouring in a drawing of Superman and she was so proud of it. That is framed and is always proudly on display. I can always buy other Superman items but I can’t find that artwork anywhere else. My Christopher Reeve Hot Toy. The detail is unbelievable and it’s an item I have wanted for such a long time. The problem with Hot Toys though is that once you have one you need more! Following on from the Conventions question – when (and if) you attend, do you buy all the merchandise that you are able to or are you there for any celebrities that may be attending and getting any autographs/photos? I try and give myself a budget and always plan accordingly. It is very easy to spend a lot of money at conventions so with a budget I won’t break the bank. I always end up bringing art home with me even though I have no more wall space left in my Fortress! Celebrities are always a bonus at Cons but for me its about interesting with fellow fans and collectors. My biggest item is my Henry Cavill standee and the smallest is a Superman Funko pencil topper. I doubt that this will be applicable but out of curiosity , is there an item in your collection that you regret buying. If, by any chance there is, what is the item and why do you regret it? I regret nothing! Every item to me is a fun memory. 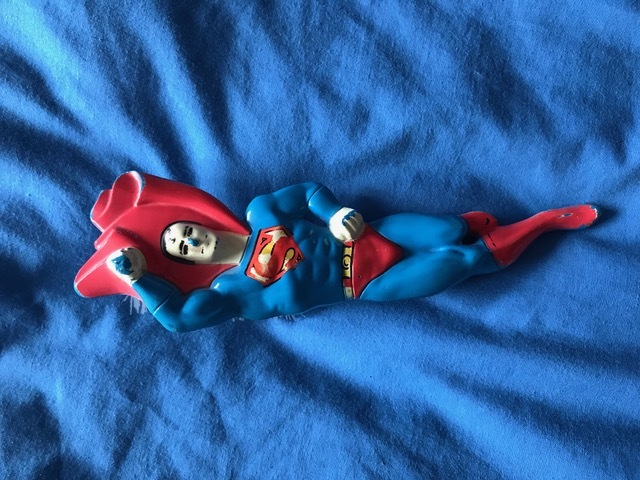 I once found a Superman Barbie doll while out and I had to have it! Finally, an easy question! Action Comics #1. For me it is the comic that started everything. I owe a lot to Jerry Siegel and Jo Shuster and one day I want to at least be in the same room with a copy of that famous comic. Cheeky question, but what is the most and least expensive item that you have added to your collection? Are these the most and least valuable or do other items take these titles? I try not to spend a fortune on items, it takes the fun out of it when you are too scared to damage or lose an expensive item. My Hot Toys can be pricy but I feel they are worth every penny! As for the cheapest, I once found a pristine copy of Superman #233 for 50p in a second hand comic shop. Now, it’s not the most valuable comic in the world but it is my favourite ever Superman comic cover and I was so happy when I finally found it and that it was so cheap! And there you have it. I am sure you will all agree, another super edition of Confessions Of A DC Geek. 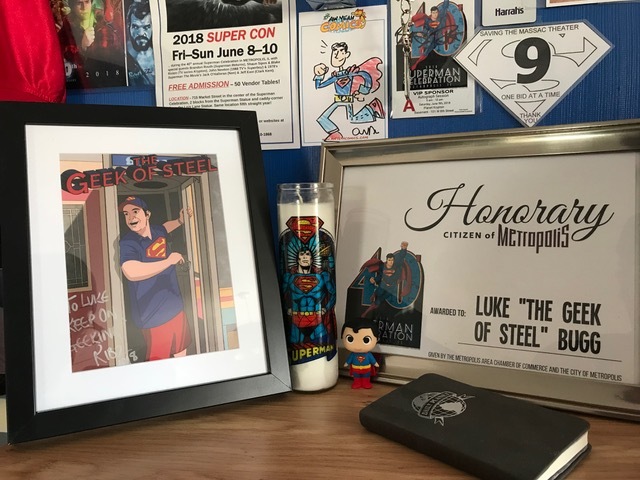 My thanks go to Luke, The Geek Of Steel for agreeing to confess all and I would urge you all to go and find him on social media and give him a follow. Always willing to talk all things geek. One more thanks to Luke and a thank you to all for taking the time to read and visit the site.